We Capture each milestone in the first year and continue through the age of 5 years. 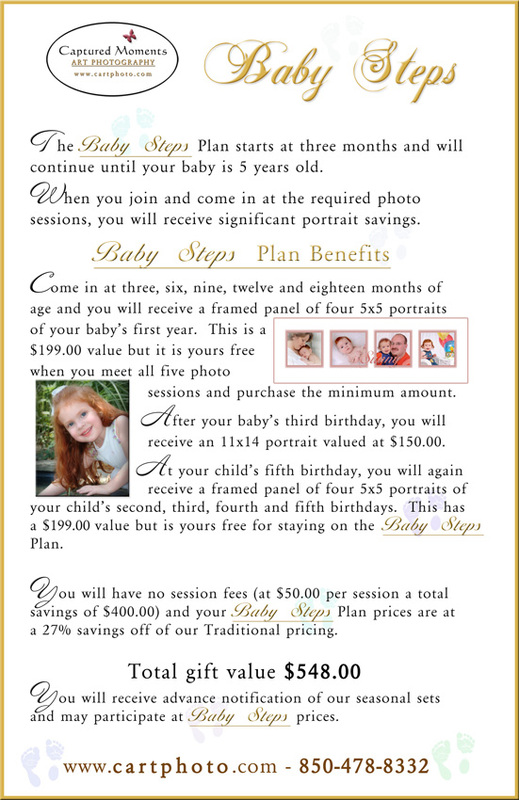 You are welcome to start with newborn portraits, but the Baby Steps pricing doesn't take effect until the 3 month session. Our Baby Steps Program offers close to a 30% savings over our traditional prices. In order to receive your gifts you must meet all portrait sessions and minimum purchase. There is no additional fee or price increase for bringing in the family or siblings.